The professional presentation is definetely this CV's strong point. 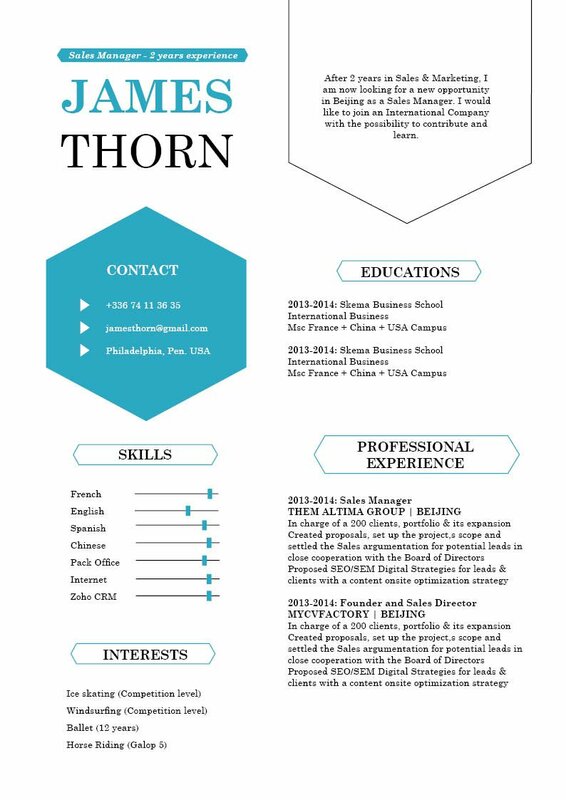 CV template to download "Thrilling"
The THRILLING cover letter is ure to impress any dean out there with its simple, efficient, and beautiful design! 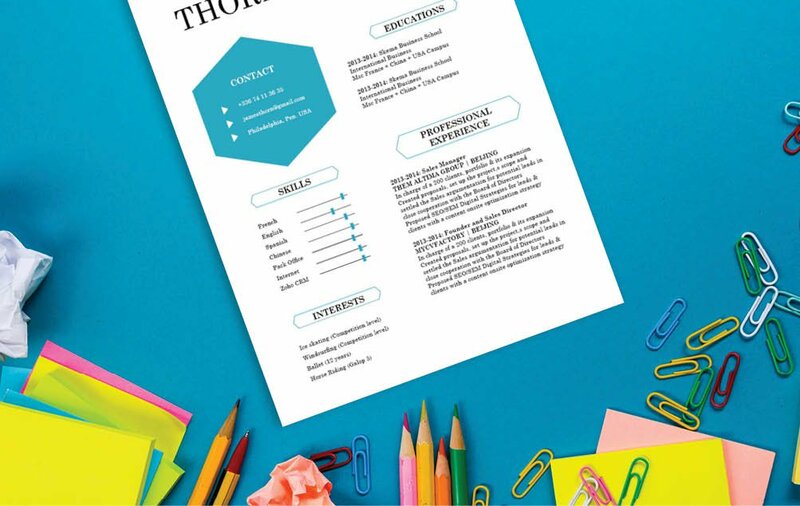 This modern CV template provides you with a flashy choice of colors, shapes, and styles that will grab the attention of your potential employer, and with its clear and well-organized lay out, all the relevant content to the job objective is immediately seen. Typical resumes are scanned for only 10-30 seconds—it doesn't get a full reading the first time through! So it's essential that all your content must be written in a well-organized lay out. To create this, use a professional looking font like Calibri or Helvetica. Limit the font size between 11 and 12, and use italic and/or bold font style to help the reader along your resume. 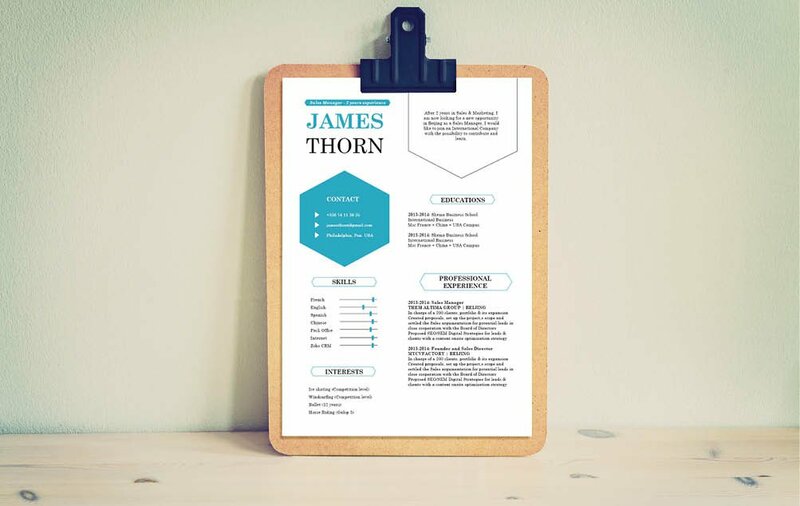 The use of symbols and bullets will bring emphasis on the key points of your CV. 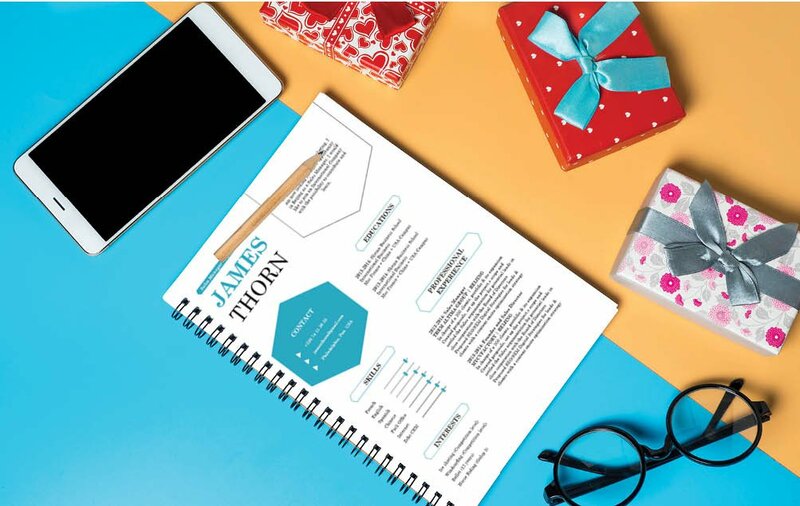 And finally, make good use of wide-spacing, headings and subheadings to give your resume a logical format that is easier to read.